In this article, you will get some important questions on About The Bones which is very helpful for all the students of admission, BCS and all kinds of job seekers. If this article helps you, then let us know by comments. Question: How many bones in the heel? Question: How many bones in the middle of the foot? Question: How many bones in the great toe? Question: How many bones in each of the other toes? Question: How many bones in the whole foot? Question: How many bones in the foot and leg? Question: How many bones in two arms and two hands? Question: How many bones in two legs and two feet? Question: How many bones in the limbs? Answer: One hundred and twenty. Question: Where is the knee-pan? Answer: Over the knee joint. 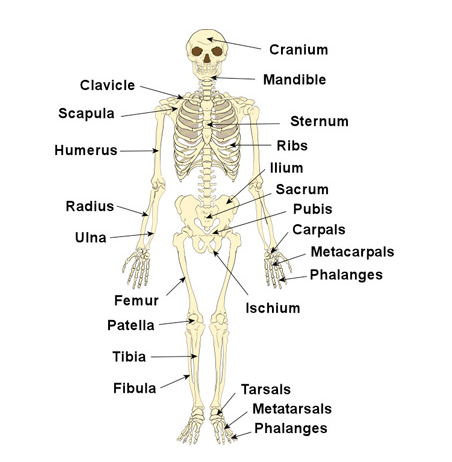 Question: Where are the smallest bones of the body? Question: How many collar bones have you? Question: How many shoulder blades have you? I like the valuable information you provide in your articles General Knowledge Quiz Questions with Answers – About The Bones – part-1 I'll bookmark your weblog and check again here frequently. I am quite certain I will learn many new stuff right here! I read this article General Knowledge Quiz Questions with Answers – About The Bones – part-1 completely regarding the comparison of most up-to-date and preceding technologies, it's amazing article. Thanks for publishing. General knowledge questions and answers on bone in title "General Knowledge Quiz Questions with Answers – About The Bones" is very informative and useful.